Chester's funniest export. Comedian's compere of the year 2016. Chester's second funniest export. One of the North West's brightest comedy hopes. '...an enigmatic performance, packing as much emotional punch as spit-your-merlot-out humour into her outstanding poems...' - Northern Sky Magazine. One of the most hotly tipped performers in the country right now. His new show 'Don't Bother' has consistently sold out venues around the country. Trust us, he's going to be massive. 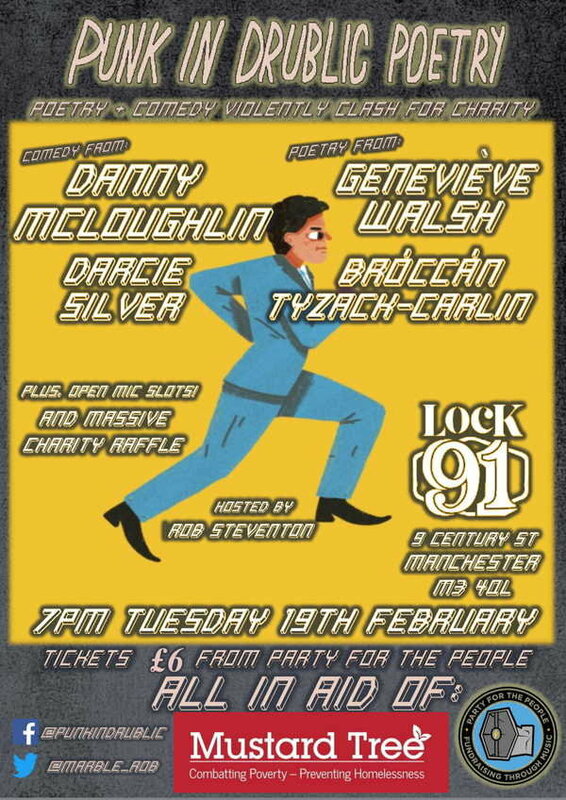 In addition to the brilliant bill, we'll be hosting a huge charity raffle.